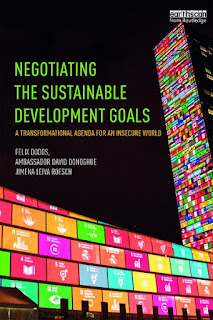 It’s been almost one year since heads of state and government adopted ‘Transforming Our World: The 2030 Agenda for Sustainable Development’ - the ambitious agenda which contains 17 sustainable development goals (SDGs) and 169 targets. In fact, 2015 was one of the most important years for multilateral agreements. Not only did the governments sign up to SDGs on 25 September 2015, they also reached the Paris Climate Agreement and the Addis Ababa Action Agenda as the framework for funding the two policy agendas. The SDGs were the culmination of four years of negotiations, starting in July 2011, with the initial proposal by Paula Caballero from the government of Colombia. These negotiations saw the most participatory process in UN history. The third straw poll for the new United Nations Secretary General happened today and there have been some interesting developments. The largest change has been Miroslav Lajčák moving from tenth to second with now 9 encourage (up from 2) and 5 discourage (down from 6 and only 1 no opinion). Miroslav was until the fall of communism in Czechoslovakia a member of the Communist Party. 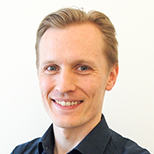 He has been Slovakia’s ambassador to Japan and the Federal Republic of Yugoslavia. 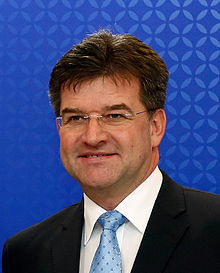 He joined the Czechoslovak foreign ministry in 1988. Between 1991 and 1993 Lajčák was posted to the Czechoslovak and subsequently the Slovak embassy in Moscow. He was Slovakia’s Ambassador to Japan to the Federal Republic of Yugoslavia (later Serbia and Montenegro), Albania and the Republic of Macedonia. He was the EU's supervisor to the 2006 Montenegrin independence referendum. For decades, Archbishop Tutu has preached a message of unity through ubuntu – what affects one of us, affects us all. The Los Angeles show kicks off UNITY: The Desmond Tutu Legacy Project, a global effort spearheaded by the Archbishop, his daughter Mpho Tutu and the Desmond Tutu Peace Foundation to ensure his work for peace, justice, and equality continues for generations to come. Each concert will unify musicians, actors, artists, and activists who will lend their voices to raise awareness of Tutu’s life work and global impact. All artists are donating their time for this international cause. I am interviewing Jason Rothberg who is the lead producer for this and other events happening over the coming months to celebrate Archbishop Tutu and Astrella Celeste who is producing the t-shirts in support of the project. Jason you have been involved with other charity events but how did you get involved with this project and what do you hope it will achieve?